While living in the NYC area, I used to go each year to the Somerset/NJ Fly Fishing Show and the Fly Tying Symposium but felt each year that it is pretty much the same show with nothing really new and interesting to me. Once I moved to Denver in 2008, I went twice to the ISE just to realize the same. Actually, the ISE wasn't really my kind of a show since a large part of the ISE is about hunting and other outdoor pursuits than fly fishing that do not really interest me. 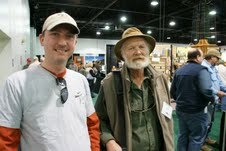 Fast forward to 2012: This is the fist time that Tenkara USA is represented at the Fly Fishing Show in Denver through RIGS Fly Fishing and in Somerset/NJ with their own booth, so Jason Klass of Tenkara Talk and I decided to visit the show and provide some support to Daniel Galhardo of Tenkara USA. 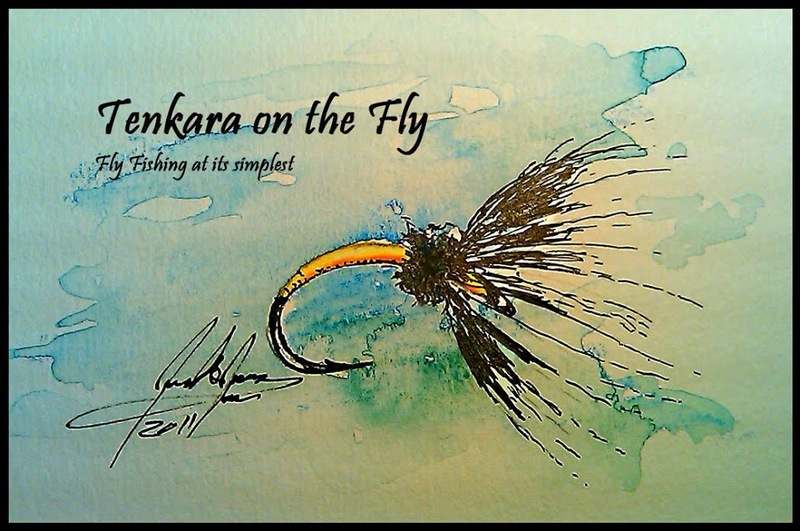 I was curious how tenkara will be received at the show given some folk's hostility to it on forums and blogs. Well, let me say that I was pleasantly surprised by the interest visitors showed at the RIGS Fly Fishing booth and Daniel's casting presentation. I counted something around 60-70 folks watching Daniel's presentation at Pond 2 and whenever I walked by the RIGS booth, someone was engaged in a conversation about tenkara and/or actually buying tenkara equipment. It looks like tenkara is starting to be accepted by the "establishment". I hope my observation is true and will continue with Daniel's presence at the Fly Fishing Shows in Massachusetts and New Jersey. Other than that, I was surprised by the number of booths and visitors since the Fly Fishing Show was in direct competition with the ISE that was taking place during the same weekend in downtown Denver. I have to say that I actually liked it better than my previous visits back in NJ. Walking the isles, I did not see any new earth shattering developments or products (other than tenkara of course). But I did take advantage of browsing some fly tying supplies and equipment that was to be found at a discount compared to regular retail prices, but at the end of the day I did not find anything that I "needed" to have, so I left the show with some stickers, business cards and freebies (Allen Fly Fishing was giving out samples of their hooks). Did you go to the show or do you plan to visit the upcoming ones?